Water is the essence of life. Though 71% of earth’s surface is water, only 1% is available for consumption which is the reason why it is necessary to conserve water. With the increasing number of areas in India suffering from severe drought, it has become important to stop water wastage. Even if you are not facing any severe water shortage, you can conserve water to cut on utility bills. In this blog, we discuss some effective ways to conserve water at home. With water borne diseases on the rise, almost every house in India now has a water purifier. However, many of the RO water purifiers in India waste a lot of water. Almost 80% of the water is wasted as rejected water. Taking into consideration the increasing amount of water wastage, KENT has introduced the all new save water technology. The best water filter for home equipped with Save Water Technology employ a computer controlled process that save more than 50% water as purified. Another effective way to save water is by reusing the rejected water. You can easily store the RO rejected water in a separate tank and use it for different household purposes such as washing car, watering the plants or mopping the floor. This is a great way to save water and also re-utilize the rejected water from the RO water purifier. Another effective way to save water is by taking a shower instead of using a bucket. You can use a water-saving shower head to conserve water. The shower head helps in saving approximately 2 gallons of water per minute. Shower heads are screwed to the bottom of the tap and helps in reducing flow of water. Fixing leaks in the toilet and other areas of your home to avoid water wastage. You can check for leakage in your bathroom using the following methods. Drop some food color in your toilet tank and allow it to stay there for half an hour. If the color remains in the bowl, there is a leakage you need to repair. Fixing leaks can save a lot of water and reduce wastage. A mistake that most of us make is not turning off the tap when brushing. Ensure that you turn off the tap when brushing your teeth or washing your hands as it saves a lot of water. 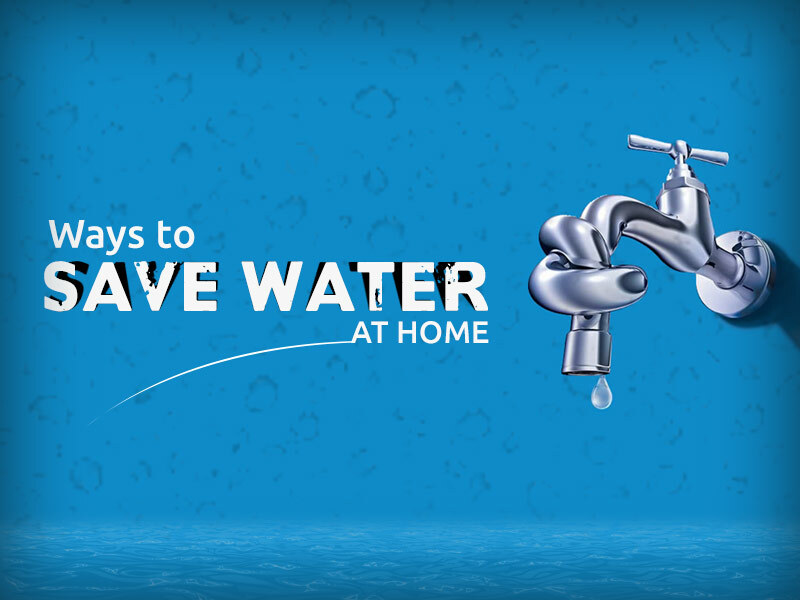 These little habits can make a lot of difference in saving a lot of water and reduce wastage. Those were some of the simple and easy ways to save water and reduce wastage. Switching to water purifiers that come with save water technology ensure that you drink pure water and at the same time avoid wastage. Being one of the top water purifiers in India, KENT makes an endeavor to provide best quality products that help you stay healthy and fit. Find out more about the RO water purifiers on our website.